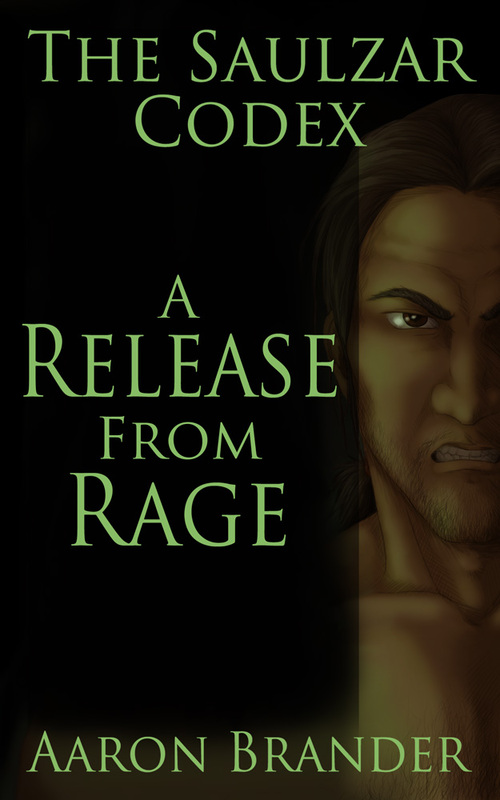 I’m happy to announce that A Release from Rage is now available! It is the fourth chapter in the Saulzar Codex – a series of short stories focusing on Saulzar, a fierce warrior battling to overcome his own past. You can learn more about the project here. I’d love for you to stop by and pick it up. It’s a short story at 8400 words and is priced at $0.99. Above his head was an ancient wall, built thousands of years before and buried beneath the scouring sand of the Aridad desert for generations. He wedged his body deeper into the crevasse, praying the rock did not pick this moment to crumble into decay, burying him under thousands of pounds of rubble. “Is it there, do you think?” Flint asked. “Can you reach a bit more?” Coal asked. Sweat dripped into Saulzar’s eyes, fear pressed in with the weight of the fallen walls that he slithered between. He could feel the pulsing of his goal, waves of power that emanated from just beyond his reach. Rubble trickled down the wall, dust falling in waves to coat his face in a sticky mask. “Farther. You got to lower me farther,” Saulzar said through clenched teeth. Smudge replied with a strained grunt and Saulzar slipped forward another foot. “Careful, you oaf!” Meria said. Smudge growled, but it was out of strain, not anger. All the Wolves had adopted Meria as their own after the death of the Warlord. She possessed a ruthlessness matched only by Saulzar. Smudge was lying on his belly, half in the hole, with Flint and Coal holding his legs. He held Saulzar by a single arm and dangled him lower. “Any further and they’ll all be in the hole with you,” Meria called down. “Can he see in the dark, I wonder?” Flint asked. It was pitch black in the ancient ruins, but for a sickly torch casting bewildering shadows on the worn and pitted columns around them. Saulzar had led his Wolves into the Aridad desert, chasing the rumor of a long lost necklace of untold power. Saulzar had learned of it from Omen Taru of the Durrant Heil, but it was Lord Edward who mentioned hearing of strange lights in the sky in the Aridad Desert. Caravan traders from Sol were afraid to go near the Oasis of Gielel because of the lights and because of the bones. Thousands of bones littered the ground just north of the oasis. Ancient walls and crumbled stone marked the site of a ruined city, and the bones were thick as the grain on the Poi plain. No one could recall seeing the ruins or the field of bones before. It was as if the desert was offering them back up to the light of day. Saulzar had a hunch about those rumors, an inkling that the rumors could be tied to what he sought. Ancient relics from another age were waking up, finding their way back into the world and Saulzar had already collected many at the behest of the Durrant Heil.